Creating the perfect ambiance in our work environment begins with choosing the ideal furniture; and whether you are working from home or in an office, comfort is significant in the performance and completion of our tasks. One of the major pieces of furniture we focus on and use the most are office tables. And while the furniture market is teeming with various types and styles of office desks we can choose from, we have carried out extensive research and have identified and ranked the top 10 best tables in the market. We have also written a detailed guide about the best conference tables. 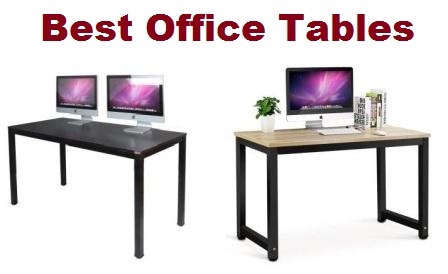 Most people go for either the traditional or contemporary style office tables. And while traditional style tables speak of durability, elegance and refinement, they have disadvantages too; they are too heavy to move around and abysmally expensive. Contemporary style tables, on the other hand, are far lighter in weight and therefore easily portable. They are elegant as well, as furniture manufacturers continuously focus on producing innovative and attractive yet classy looking office desks. Space efficiency- determine the size of the table and the room space; the table should be large enough to suit your needs but not too much that it would eat up or dwarf your room. Make sure there is enough leg room, even for a tall person. An ergonomically designed table is most advantageous as comfortability while working is essential, check to see if it passed health standards as you will be spending a lot of time on your table.Quality and durability areimportant factors to ponder, an expensive table does not necessarily mean it would last us for years- check the materials used; how much weight it could hold, is it wobbly, are the legs sturdy enough, does it have strong leg support. Functionality and style- whether you are choosing a traditional or contemporary style office stable, it should be in sync with the surrounding or the type of room/office and business you have.Bright colored and trendy, futuristic designed tables may be perfect for a cafe or a dress designer’s office but may look awkward in a law firm or a doctor’s office. 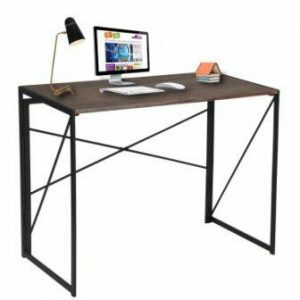 If you’re working on a budget, there are a lot of affordable yet sturdy and stylish office tables in various styles, colors, shapes and designs to choose from. The Office Star Resin Multipurpose Table is the ideal choice if you are looking for a functional, durable and economical table. This 6-foot foldable table is perfect for indoor and outdoor use. This sturdily built white and dark gray table is waterproof, stainproof, scratch-proof, andimpact-resistant; perfect for home, school and office use and for when you need extra tables for parties, office functions, events, picnics, barbecues and a whole lot more. This table is adjustable and can be folded, the legs can be tucked in effortlessly, for storage. The Office Star Resin Table measures 72 inches long by 30 inches wide by 29-1/4 inches high and can hold up to 350 pounds of evenly distributed weight. This 6-foot white topped table features hardwearing and high-qualitymetal foundation; the durable, tubular steel legs finished in dark gray are powder coated and equipped with double side support rails,and a broad stance design that makes it ultra-stable. The Office Star Resin table is the practical and economical choice for home, office, and school use; the textured, white table top is crafted from durable and blow-molded resin and is waterproof, stainproof, scratch-, and impact-resistant; perfect for picnics, barbecues, bake sales and other outdoor events. The Office Star Resin Tables are foldable in the middle and the legs can be tucked in. These tables are stackable and therefore, saves storage space. This table weighs only 34 pounds, and measures 36-7/8 incheslengthx 30 inches width x 3-5/8 inches height when folded and comes with two different sturdy carrying handle choices and end lockthat makes it extremely portable. Another great feature is the height of the table can be adjusted according to your preferences. It also comes with a set of transport wheels for mobility. The Office Star Resin Table is user-friendly as there is no need to assemble it, cleaning this table is super easy too, no need for extra cleaning effort. This sleekly designed resin table is safe to use even on wooden floors; the legs have rubber caps to prevent marring and scratching your floors. The Office Star Resin table exceeds the BIFMA (Business and Institutional Furniture Manufacturer’s Association) and MTL test standards. 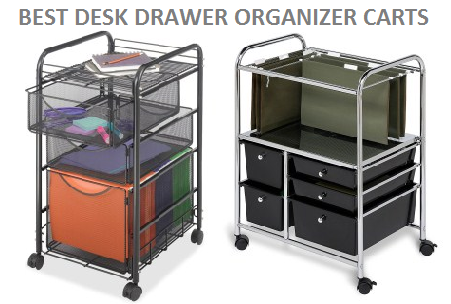 It is crafted from durable materials, foldable, height-adjustable, easier to clean and store and the price is affordable. Unlike the competition, the Office Star Resin table has a waterproof, stainproof, scratch-proof, andimpact-resistant table top. This table is built from high quality materials, the tubular legs are of powder coated and hasdouble side support rails for stability. It is easily portable too as the table can be folded in the middle, the legs can be tucked in effortlessly. The set of wheels provided makes it easier to move around. Durable – Office Star is crafted from high-quality materials ensuring that they would last for years. Portable- the included handles and end lock makes it easily portable. Easy Storage- when folded, its dimensions are only36-7/8 incheslengthx 30 inches width x 3-5/8 inches height so it doesn’t take up a lot of storage space. Some users have difficulty folding the table. Not big enough to accommodate 6 people. Tribesigns Modern Simple Style Computer Desk is a simple yet elegantly designed table ideal for both home and office use. It as a clean and simple yet modern design, perfect for any type of surrounding. It has a wide desktop to accommodate your computer set and has plenty of leg room too even for tall people. The thick laminated wood is waterproof and anti-scratch, so your table will keep its shine and brand-new looks for years. It has a sturdy metal frame and legs to ensure durability, the legs are equipped with adjustable pads to keep the it stable. TheTribesigns Modern Simple Style table can hold up to 900 pounds of weight, that’s a lot more than other office tables can handle. The Tribesigns Modern Simple Style table is a large sized office table that measures 47.2 inches in length,23.6inches in width, 29.2 inches in height and weighs 52.9 pounds. 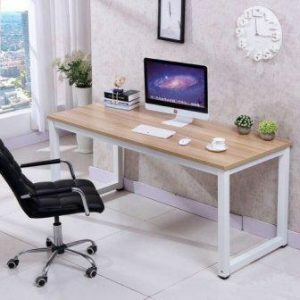 This elegant and fashionable looking office table has a thick (0.98 inches) laminated medium-density fibreboard(MDF),wider than most office tables, is equipped with sturdy Black metal legs that has adjustable leg pads to keep the desk from wobbling, and even on uneven floors, it’s steady and you can be sure it won’t totter or rock. Tribesigns has a spacious leg room; its strong metal legs have an ample distance of 42.9 inches. The steel frame is thick and durable; measuring at 1.57 inches by 1.57 inches width and is powder coated, solid enough to hold up to 900 pounds of weight. This aesthetically attractive table can function at any type of surrounding, it will lend grace and elegance to any kind of room. It is ultra-versatile; can be used as an office desk, study table, writing table, computer desk, and gaming desk. TheLightWalnut Board is waterproof and scratch-proof and is very easy to clean, no more worries of marring your table warping, no more warping and dreadful stain marks. Unlike other contemporary office tables, Tribesigns is a combination of traditional and contemporary style, it has a simple, sleek and clean design. This classy table has a thick, solid and sturdy built, and wider desktop compared to most contemporary office tables. Its thick, waterproof and scratch-proof laminated wooden tabletop is durable enough hold a lot of weight. Its thick, metal frame makes this table superior when it comes to durability. Its adjustable leg pads that keep the table steady even on uneven floors, is one feature you can’t find most office tables. Wider and Thicker Desktop- it can accommodate a computer set; perfect to use as an office desk and writing table as it won’t be cramped even with books, papers and office materials. 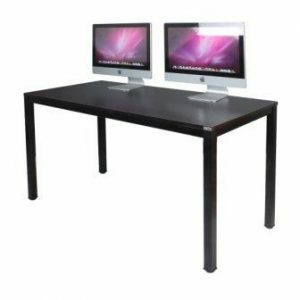 Ideal to use as a computer gaming table, it will hold a big monitor, speakers, gaming consoles and more. The Zinus Modern Studio Collection Media TV Stand is a sleek and fashionable yet functional table that would make an ideal collection to your furniture. Its rich brown wood grain finish will lend an attractive classic look to your room. This table is ideal for your TV, computer monitors and keyboards, laptops, and is also perfect to use a study and/or work table. Its high-quality square frame can hold up to 180 pounds of weight, sufficient enough for books and lamps, and not-too-heavy media equipment. The Zinus Modern Studio Collection Media TV Stand is a sturdily built media table that can easily accommodate even a bigger flat screen TV or 2 monitors, it is wide and spacious enough to use as a study and work table. At 47 inches wide, 24 inches long,29 inches deep and the capacity to hold up to 180 pounds of weight, it is ample enough to use as a computer gaming table. This 36.2-pound media table has an attractive Rich Brown wood grain table top and black steel tubing frame has a clean and classy design that would look great in your room. The Zinus Modern Studio Collection Media TV Stand is remarkably light in weight and is easily portable. It is easy to assemble/disassemble and maintenance is easy as cleaning this table is a breeze. The Zinus Modern Studio Collection Media TV Stand unlike other media tables, would not take up a lot of space yet durable enough to hold your flat screens and other media devices. The sturdy steel tubular frame can hold a lot of weight. 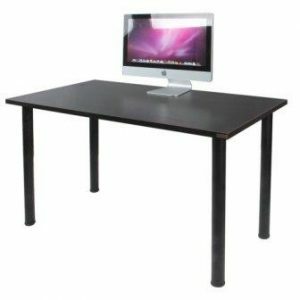 And compared with other media tables, it is portable and can be moved easily to any part of your room. Ideal Size- the Zinus Media stand is just the right size, ideal for your flat screen TV and other media devices. It can function as a study/work table as well. It can sometimes be taxing to choose which contemporary office table would blend in nicely with your room; the furniture market is abundant withattractive and elegantly designed office tables, in varying sizes, shapes and colors, that it is simply confusing which one to pick. Simple is sometimes enough. That is where the Computer Desk Simple Design Folding Laptop Table comes in. This solid and durable table is portable and can be used bothindoors and outdoors, perfect for dining at the patio, barbecues and picnics, it can be used as a study or work table, and great for computer gaming too. The Computer Desk Simple Design as its name implies, has a sleek and simple modern design that would sync with any type of room. This office table measures 39.4 inches length, 19.7 inches width and 29.5 inches height and at 26.9 pounds is one of the lightest office tables in the market. The sturdy and thick Brown textured table top is crafted from Medium-density Fibre (MDF) is water-proof, and will not warp or get deformed, so your table retains its shape and good looks for years. The tough and sturdy legs are constructed from high-quality and tough silver colored steel that will never rust or corrode, and one of the highlights of the table design are the leg supports that create a geometric pattern, giving it a modern and stylish look. This sleek computer desk is easily foldable and will not take too much storage space; handy too for when you want to bring your table to picnics or any events. The Computer Desk Simple Design is suitable and functions well for office or home use; ideal to use as a study table, computer gaming table, game table, and a whole lot more. Assembling this table is easy; in just two steps and a few minutes, your table is ready to use. The Computer Desk Simple Design compared with the competition has a clean and simple yet modern design. The leg supports not only gives it stability but designed to create an attractive geometric pattern, a unique feature you don’t see in other office tables. Another feature that makes this table stand out is its sturdy silver metal legs that does not rust or corrode. Clean and Modern Design- the computer Desk Simple Design has a sleek, simple yet modern design that lends elegance to any type of room. Portable- this table is lightweight and foldable; ideal for outdoor use and won’t take too much storage space. Need, one of the well-known manufacturers that specialize in exquisite pieces of wooden and metal furniture focuses on bringing about only the best and high-quality crafted products. One of its pride is the Need Computer Desk 63″ Computer Table Writing Desk Workstation Office Desk, AC3CB-160- this classic and sophisticated office table is wide and spacious enough for a whole computer set. 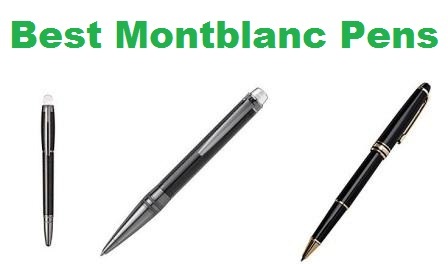 It has a waterproof and scratch-proof glossy finish that is quite eye-catching. The metal frames that support the table are thick and sturdy and can take on more weight than any other computer table. The Need Computer Desk 63″ Computer Table Writing Desk Workstation Office Desk has the classy and traditional look yet possesses modern and contemporary features, a lethal combination that makes this table a favorite among the array of office desks. The Need office desk has a durable and spacious tabletop- 63 inches, that is ample enough to accommodatea whole computer set. The powder coated metal frame that supports this desk are all 1.2 mm thick, sturdy enough to allow the table top to hold up to 600 pounds of weight.The Need Computer Desk’s panel is constructed from durable and environmental E1 standard particle wood laminate and has a classic, glossy Brown finish- the tabletop is waterproof and scratchproof. The Need Computer Desk is American National Standards Institute (AMSI) and Business and Institutional Furniture Manufacturer’s Association BIFMA certified. Another added feature is the adjustable leg pad design- leg pads can be adjusted 1-2 cm., to keep the table steady and stable even on uneven floors. The Need Computer Desk has a unique combination of traditional and contemporary style design, that is aesthetically pleasing. The leg pads are adjustable providing the table more stability. The durable powder coated legs are 1.3 times thicker than ordinary ones. This table is easy to assemble and portable. Lifetime Products, a respected and famous brand of a long line of products, has a rich and awe-inspiring history; it started when a father from Riverdale, Utah wanted to build a better basketball hoop for his family; that’s when inspiration dawned on him-to build durable products that would last for years. 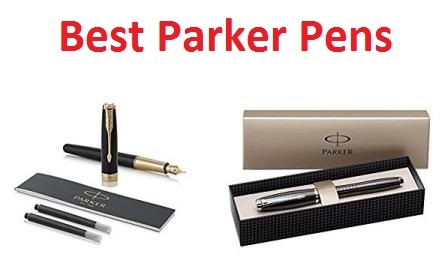 That father is the founder of Lifetime Products, and for more than 3 decades now, Lifetime Products has been providing us with high-quality and innovative products. Lifetime 80160 Commercial Height Adjustable Folding Utility Table, is a 4-feet, white granite multi-functional table that has a solid built and elegant look. It is packed-full with awesome and useful features, and has everything you would want in an office table, which makes it one of the choicest and top picks among office tables. 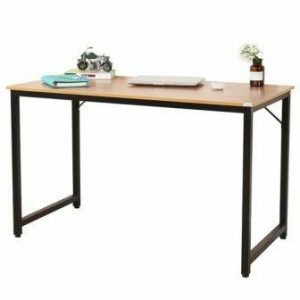 Lifetime 80160Adjustable Table is a multi-functional, ultra-durable and extremely elegant piece of furniture that’s ideal to use as a study table, office desk, utility table, work table and a lot more. Its Granite white tabletop is constructed from UV-Protected High-Density Polyethylene (HDPE), and with a patented tough and durable steel frame. This table has three adjustable height settings, it’s stain-proof and won’t crack, chip or peel from everyday wear and tear. 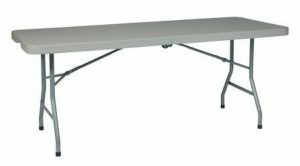 This 4-feet long utility table has dimensions of 48″ L x 24″ W x 24″ 36″ H when open and48″ L x 24″ W x 2.1″ H when closed, it is easily foldable and portable for when you want to use the table outdoors. Lifetime 80160 is BIFMA (Business and Institutional Furniture Manufacturer’s Association certified. It has an impact-resistant design, foot caps to prevent the table from scratching and marring your floors, durable locking rings-over 200% more material is added at stress points to prevent unintentional closure. Lifetime 80160’s adjustable height is one its unique and most useful features. The design and built is exceptional as it is foldable, has ultra-strong steel frame, it’s stain-proof, won’t crack, chip or peel, impact resistant and rust proof. The durable locked ring is one feature you won’t see in the competition. The Cosco ABS Top Folding Table is functional and attractive- an ideal addition to your home furniture, This Black adjustable-legs table is multi-functional and can be used indoors and outdoors. The table top is durable and is supported by heavy duty metal frame and legs. Ideal for parties, working table, extra dining table, picnic table and a lot more. 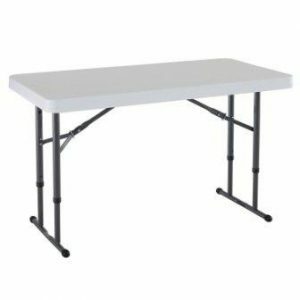 The Cosco ABS Top Folding Table measures 48″ x 28” x 20” and has an adjustable height. The Black textured resin table top is easy to clean and maintain. The frame and legs are constructed from heavy duty metal and have leg caps to prevent the table from scratching your floors. At 14.7 pounds, this table is extra lightweight and be carried around anywhere. The legs are adjustable in height and are foldable. When folded, this table is only 1.5-inch wide and will not take a lot of storage space. Need, the brand that was named after the manufacturer’s company aim and focus- to deliver products that they hoped would be Needed and Helpful to every home. Need specializes in wooden and metal pieces of furniture and for a decade now, has been producing the most innovative and elegant furniture in the market. The Need Computer Desk is a 47-inch office table that is so functional; it can be used as a computer table, writing desk, work station, study table, office desk and a whole lot more. The Need Computer Desk is a blend of traditional and contemporary style with an elegant glossy Black finish. Its durable table top is constructed from high quality solid particle wood that is scratch and friction resistant. 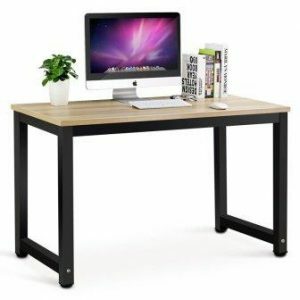 This47-inch x23.7-inch x29.5-inch aesthetically designed table is spacious enough to hold a whole computer set, ideal for bothyour home and office needs. The laminate panel is supported by a sturdy 1.2 mm thick powder coated metal; thicker than the average metal frames used by other manufacturers. The table legs have adjustable footpads design that adjusts to 1-2 cm length that keeps your table steady even on un even floors. The Need Computer Desk is BIFMA(Business and Institutional Furniture Manufacturer’s Association (BIFMA)certified. It has a unique blend of traditional and contemporary style, that lends elegance and grace to any home. The durable powder coated steel frames are 1.2 mm thick; thicker than the average metal frames used by the competition. Another unique feature is the adjustable footpads design that adjusts to 1-2 cm length that keeps your table steady even on uneven floors. Scratch and Friction Resistant- the table is designed to withstand everyday wear and tear. Adjustable Footpad Design- adjusts to 1-2 cm length that keeps your table steady even on uneven floors. Dland, a local US brand, is known to deliver high-quality products for the past few years, this company speciliazes in stunningly attractive mid-high wooden and metal combination pieces of furniture. The Dland Home Office Desk is a 47-inch sleek and glossy multi-functional officetable that can be used as an office desk, a computer table and study desk. The durable and elegant Teak panel is supported by thick powder coated metal that supports the tabletop and could hole a lot of weight. It’s streamlined and smooth finish will blend in any type of room. Dland Home Office Desk does not only possess good looks, it has a tough and durable built. The attractive panel is constructed from panel particle wood and has a smooth, glossy Teak finish. The frame is supported by 30 mm extremely thick and durable powder coated steel that provides stability and allows the table to hold a lot of weight. This multi-functional table can be used indoors and outdoors; perfect to use as a work desk, study table, extra dining table, work table, computer table, ideal for when you want to dine at the patio- this table is easily portable. Dland utilizes a triangular pole support on its legs to make it more stable. The inner wall is 1.0 mm thick to ensure that the table is steady and durable. Easy to Assemble- assembling the table made easy; all parts, tools and instructions are included. The Love+Grace Computer Desk is a simple yet stylish computer desk that can also be used as a work and study desk. This sturdy and durable office desk is ideal to use for small rooms or if you have limited space. This sturdy table is portable and can easily be moved to any part of the room. The Love+Grace Computer table measures 45.3 x 29.5 x 23.6 inchesand weighs 54 pounds, it is ideal for small rooms and will not take too much space. The table top is constructed from durable Medium-density Fibre (MDF) Sturdy construction and can hold up to 150 pounds, perfect for a whole computer set. The elegant white and beige finish lends this table a classy and modern look. This simple and modern table can be assembled easily.